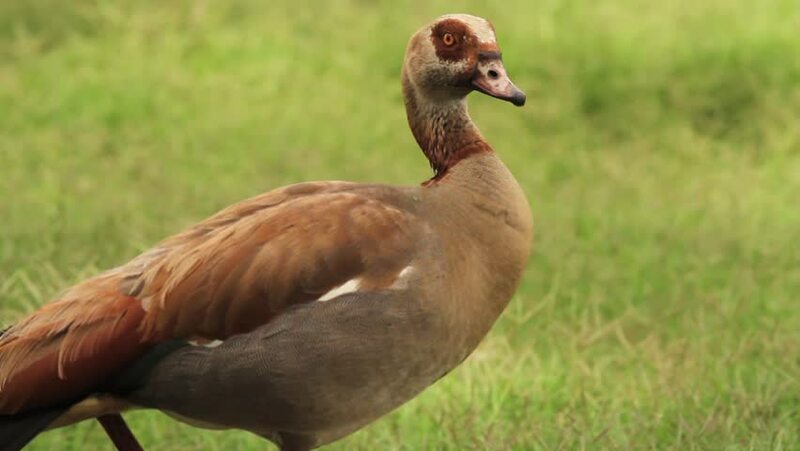 Close-up of an Egyptian Goose ((Alopochen aegyptiacus), which is endemic and a common resident of South Africa. hd00:16Two Wild Turkey (Meleagris gallopavo) mature male Gobblers, one partially struts while in search of receptive hens, April in Georgia. hd00:13Homeless Dog on the Street in the City. Slow Motion in 96 fps. hd00:10Herd of cows grazing in the meadow uncut summer. Europe - Balkan peninsula, Bulgaria.